When it comes to the country’s oldest, and yet, most beautiful natural feature, it cannot get better than the glorious Table Mountain. It has a rich historic heritage and is recognized as one of the oldest mountains in the world. Why is this so, you may ask? 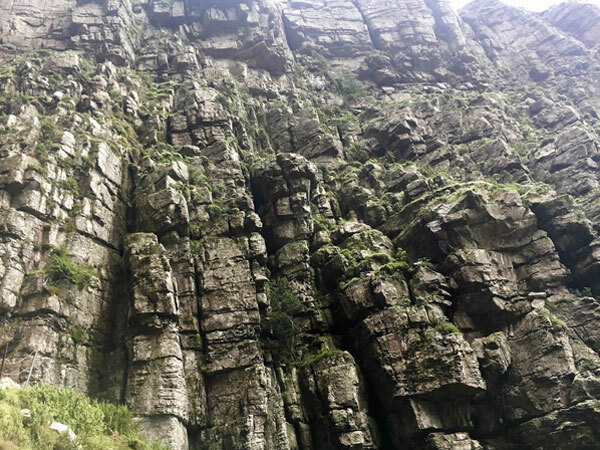 According to statistics and historical findings, Table Mountain’s rock formation bears witness to its age, with some rocks dating back to more than 500 million years ago. Scientists suggest that the mountain is also much older than the Himalayas and the Rocky Mountains. The evolution of the earth, from what goes on beneath its surface, to the clashing and separation of continents, all adds to changes in the landscapes we see today. With the various elements of nature occurring over millions and millions of years, it results in the development of various layers of stone. Which also resulted in the formation of our popular Table Mountain. Looking at the “sleeping giant” as we know it today, it’s hard to agree that it once was also a small island. An estimate of about 15,000 years ago. Millions of years ago, sandstone rocks formed beneath the sea. And with the movement and changes within the earth’s core and below the earth surface, this also resulted in magma formation. However, even if the magma pushed upward from the earth’s core, it never made it to a complete volcano. Instead, it stopped its course, cooled off and this caused the formation of granite. The granite resulted in the robust mountain, helping it survive erosions and further changes throughout its existence. Table Mountain Sandstone or Cape Supergroup, is the hardest form of sandstone making up parts of the rocks of Table Mountain. The Pakhuis Formation created a division of the sandstone resulting in upper and lower sandstone regions. This can be seen displayed throughout the Cape Fold Mountain Range. The Graafwater formation forms the layers underneath the sandstone, while the top is called the Bokkveld Group. Other rocks include Malmesbury Shale, Table Mountain Granite, Cape Granite, Dune sand and Scree. Evidence of Table Mountain’s age lies within the make-up of the rock’s structures. And, this begins at the soft rock, namely sandstone. Sandstone is a mixture of granite and shale, and because of its texture resulted in the robust formation after having been influenced by wind and other factors. Sandstone is of the oldest rocks forming parts of Table Mountain and during the Ice Age, while the mountain was still at sea level, ice sheets, wind, rain and further erosion to the exposed surface resulted in the flattened top which was softer at the time. Later the flat top began to strengthen due to the granite influence, it strengthened and remained. 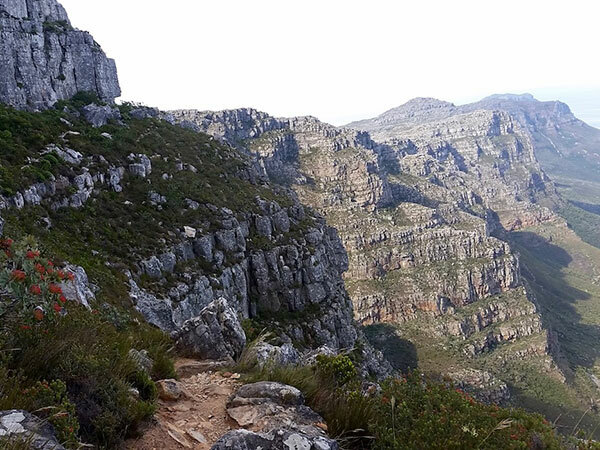 Hike Addicts is a local owner operated Cape Town Tour Company. 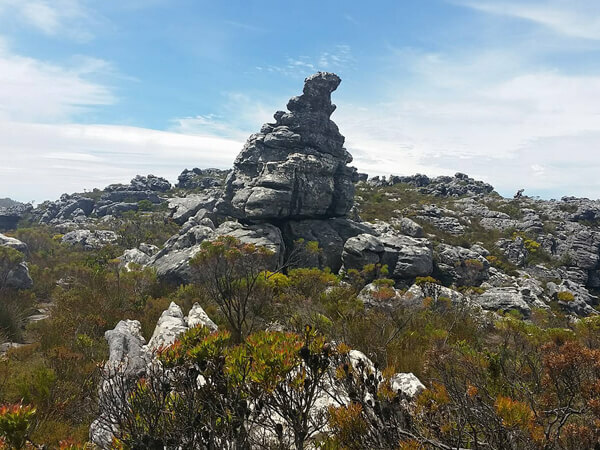 We provide hiking tours on Table Mountain as well as other beautiful sightseeing and cultural tours around Cape Town and the surrounding areas. With years of industry experience, we have become experts in the local tourism industry.